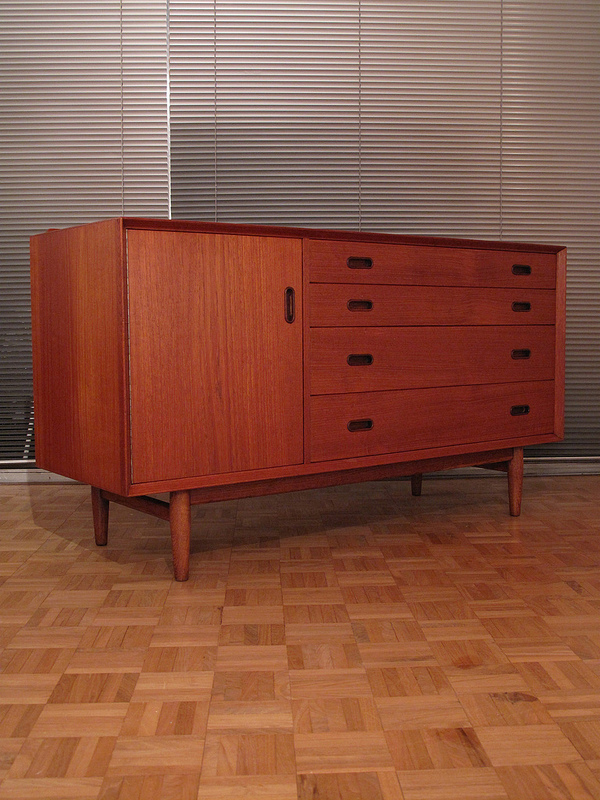 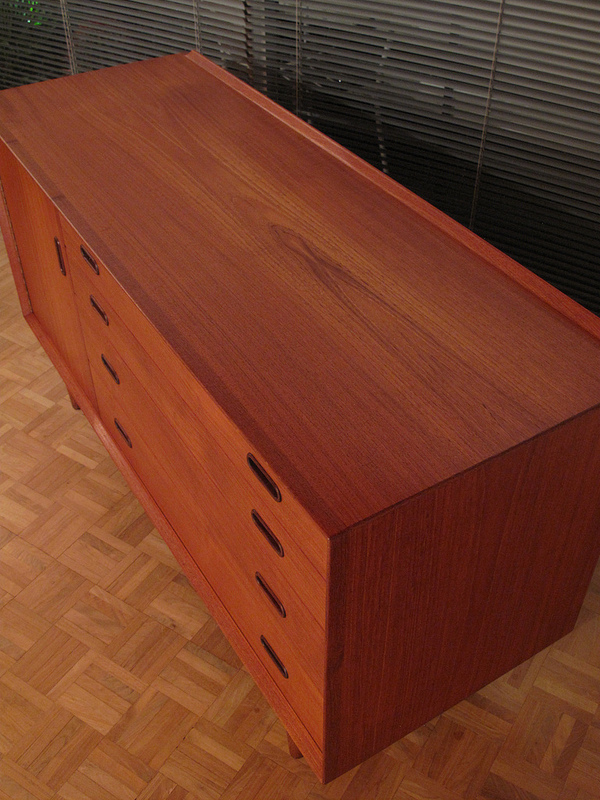 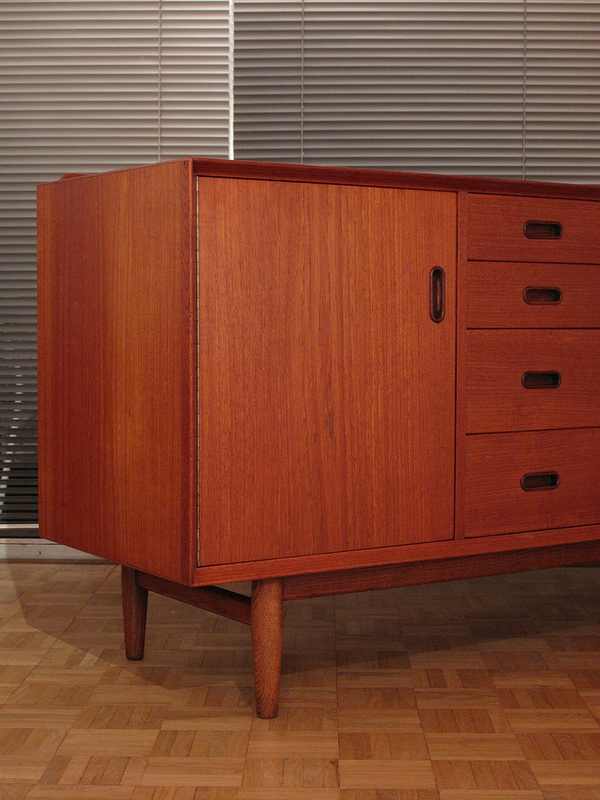 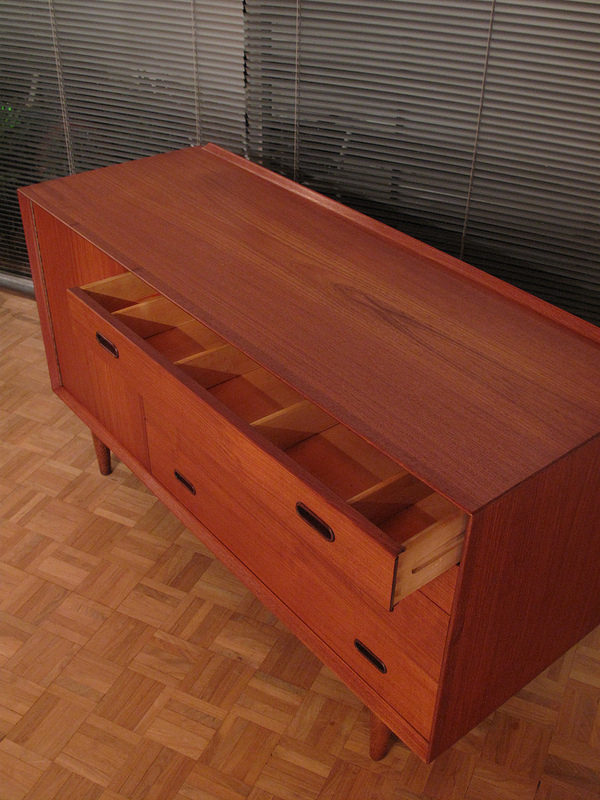 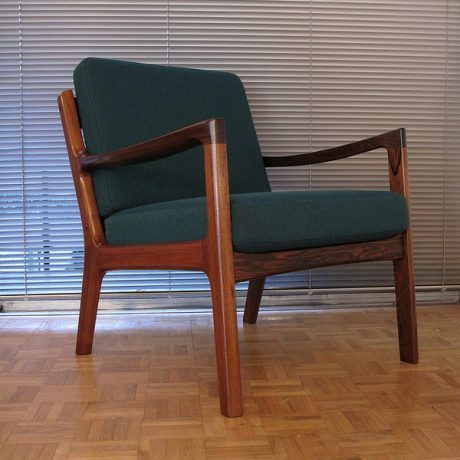 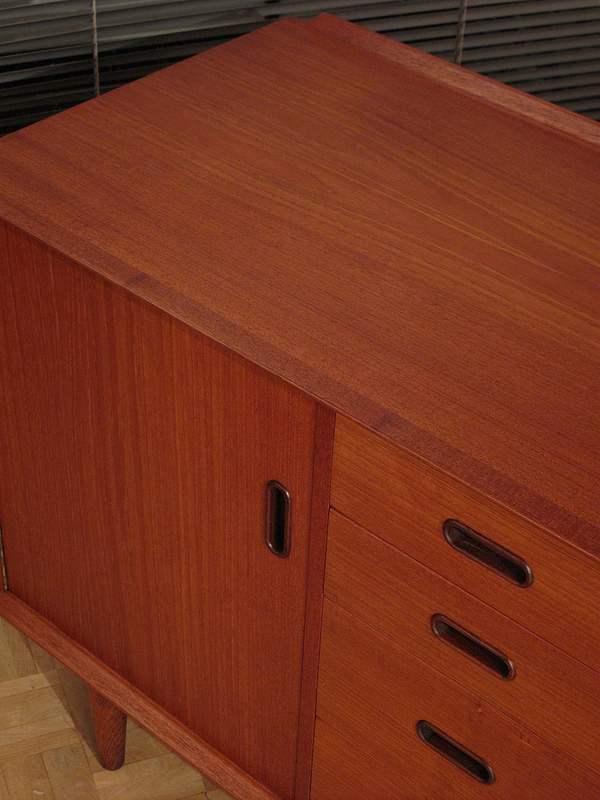 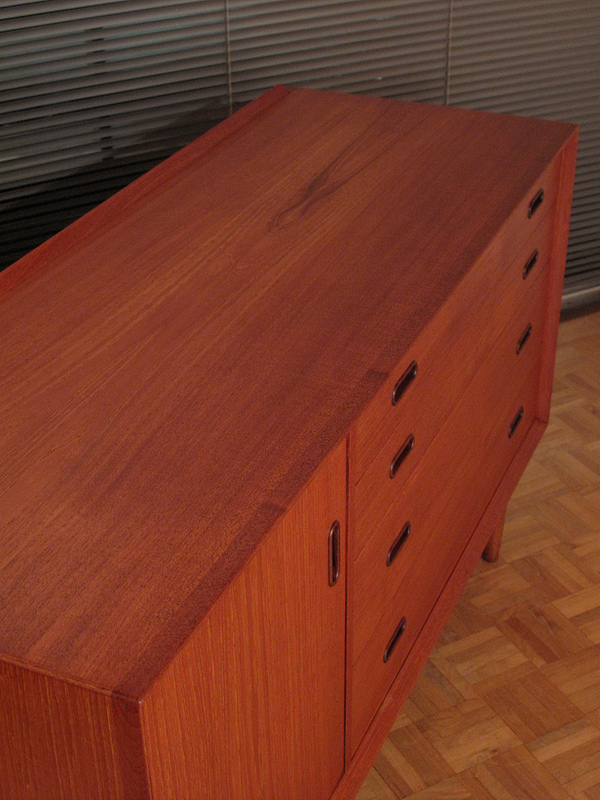 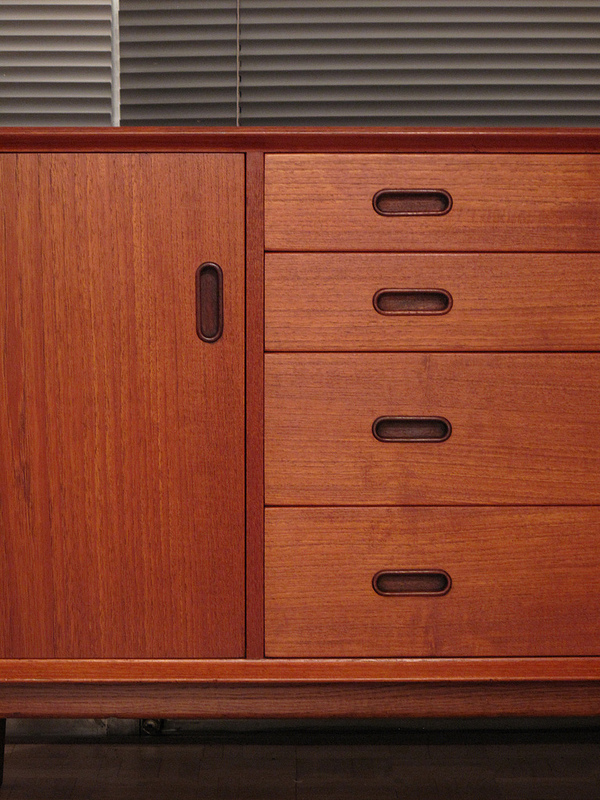 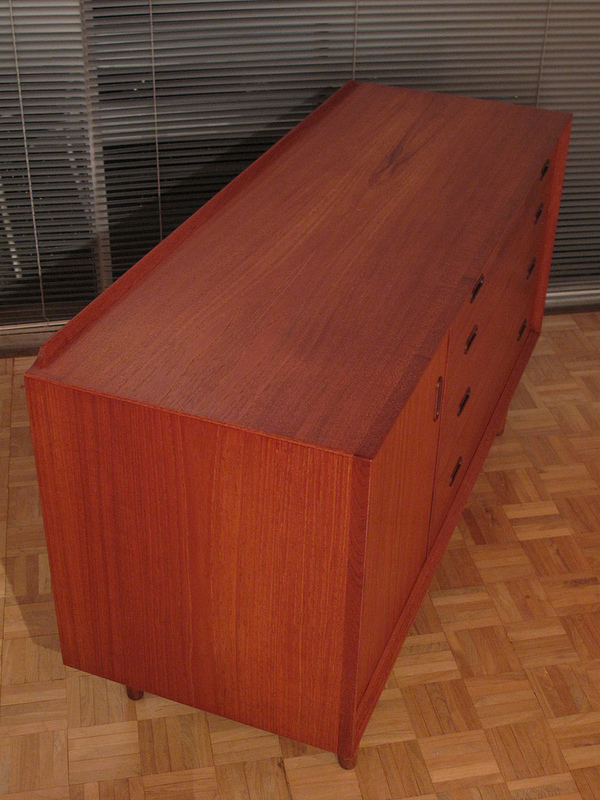 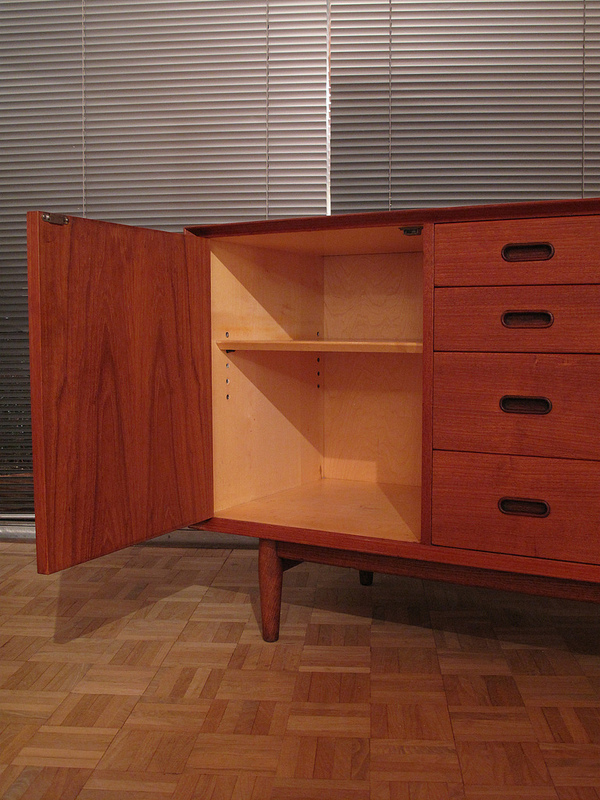 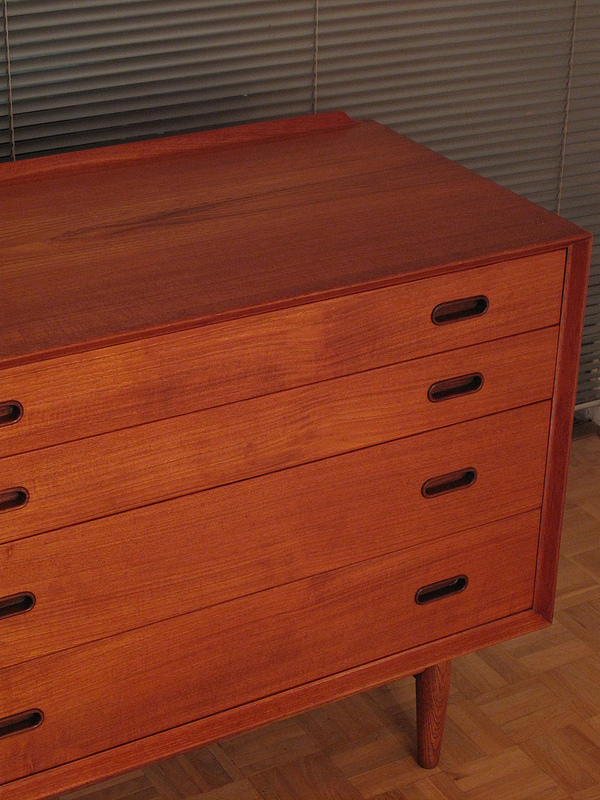 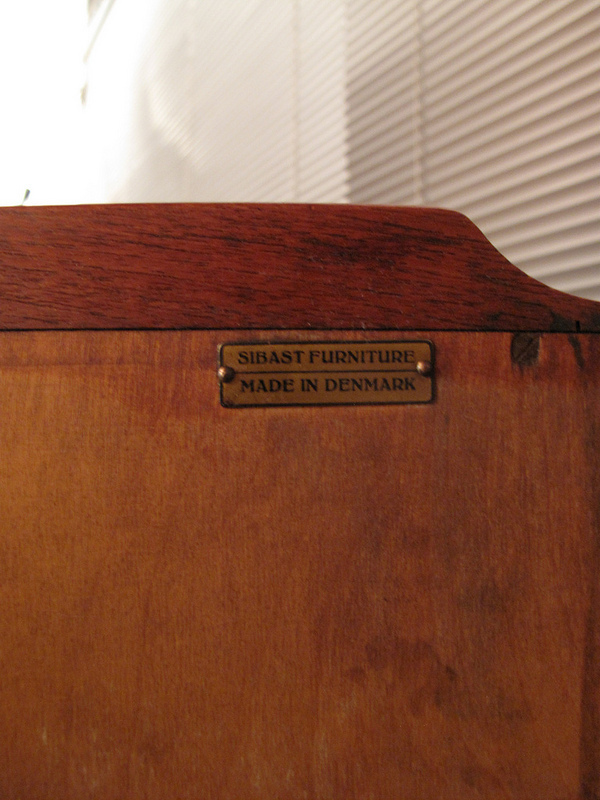 A very very hard to find piece of design from Arne Vodder. 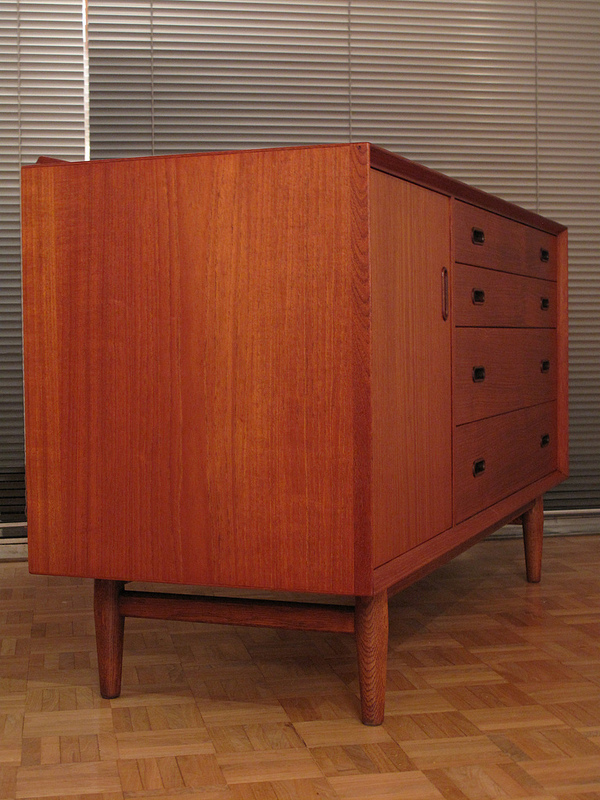 Over the years we have seen perhaps a dozen examples online, three of which were examples we had been lucky enough to have stocked. 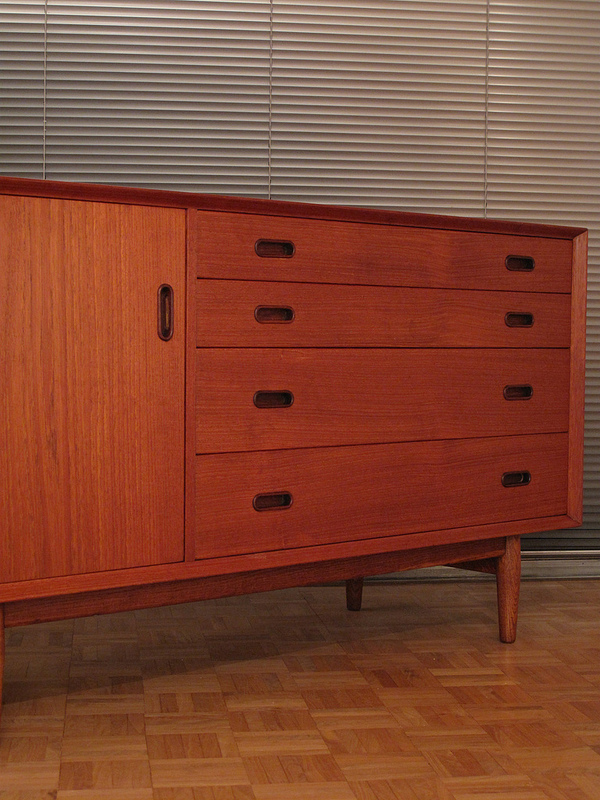 Part of the award winning ‘Triennale’ range of sideboards Vodder designed at the end of the 50’s this exquisite sideboard is an early production with early Sibast makers marks. 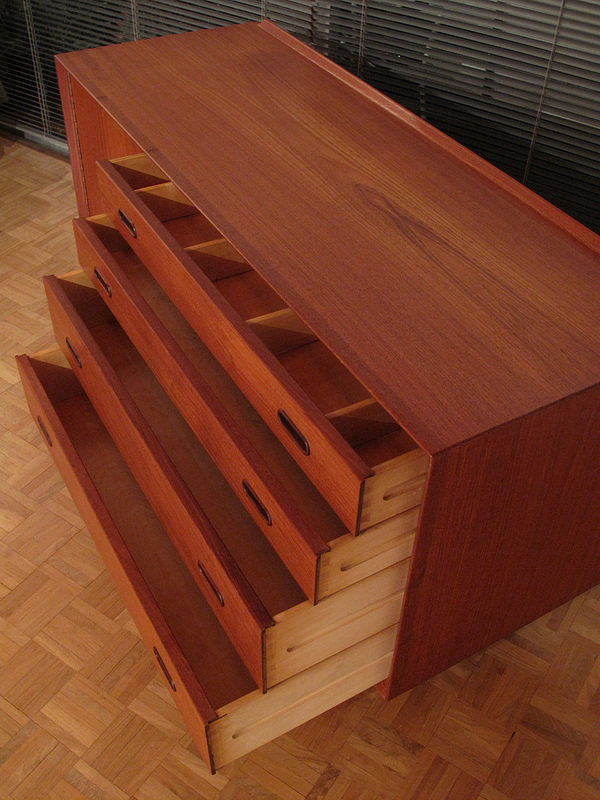 A bank of drawers to the right is offered with the uppermost compartmentalized whilst to the left a generous cupboard lined in ash with a single adjustable shelf. 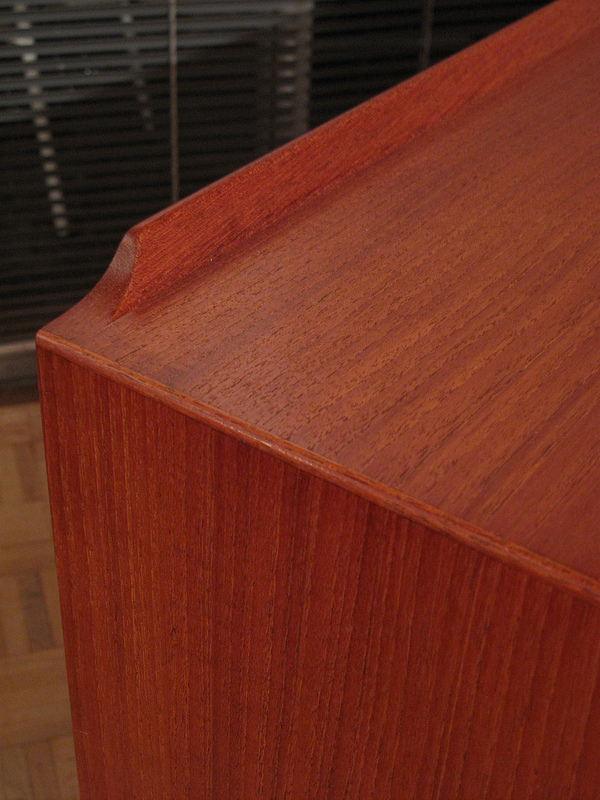 The back edge has a beautifully crafted fin and the front shows the wonderfully profiled beveled edging. 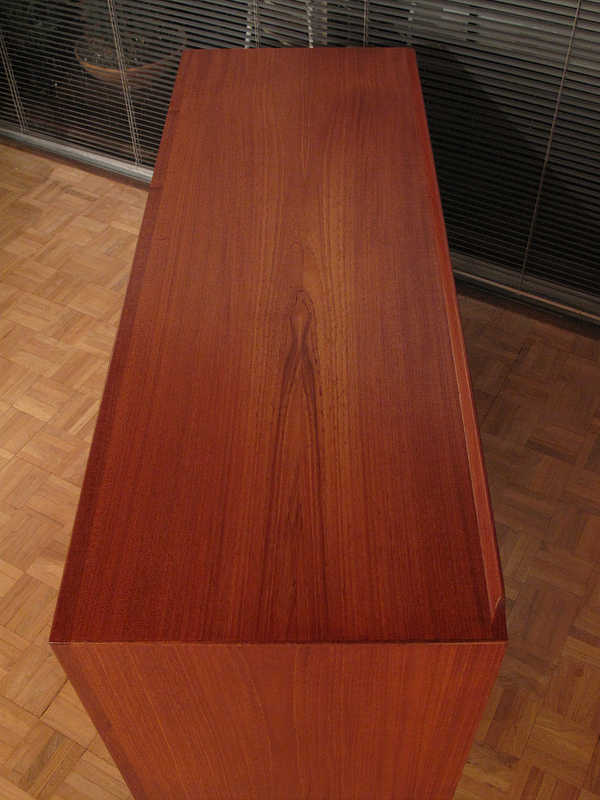 The whole carcass is veneered in beautiful old growth teak whilst standing on legs produced from contrasting solid oak.